Since Independence Day, I started to collect all Roland Emmerich-directed movies. I was, and still am, drawn to natural calamities, alien invasions, conspiracies and other strange phenomena. Not only when Anonymous got released did I unintentionally skip buying copies of his movies. It was not because I am starting to dislike his movies, but because I have to transfer to another city, leaving all of my collections at home behind. But with the release of the trailer of White House Down, starring Channing Tatum and Jamie Foxx, the urge to complete his movies is coming back to me again. His movies are not really factually correct at most times, but I find them very entertaining and keeps the gears of my brain working. Watch the hilarious trailer of White House Down below, so you'd know what I mean. These trailer is accompanied by this very straight to the point poster featuring the main stars of the movie. 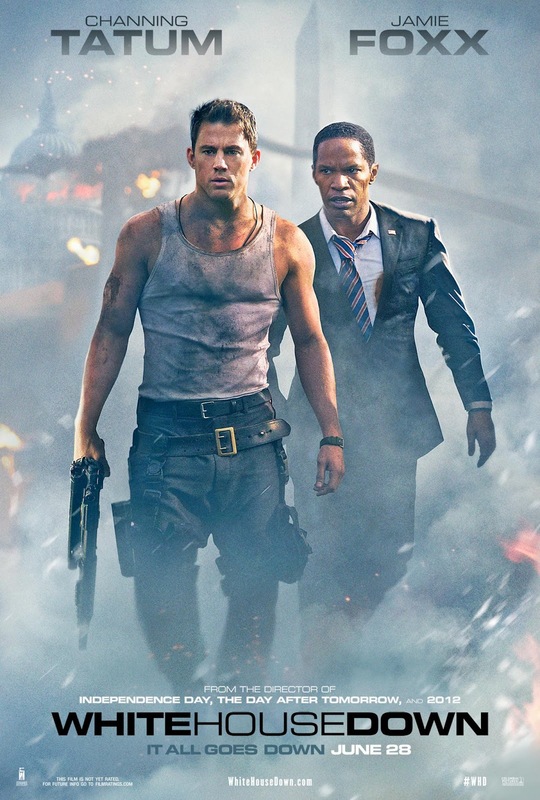 In Columbia Pictures' 'White House Down', Capitol Policeman John Cale (Channing Tatum) has just been denied his dream job with the Secret Service of protecting President James Sawyer (Jamie Foxx). Not wanting to let down his little girl with the news, he takes her on a tour of the White House, when the complex is overtaken by a heavily armed paramilitary group. Now, with the nation's government falling into chaos and time running out, it's up to Cale to save the president, his daughter, and the country. I don't really mind that White House Down seems to have some similarities with Olympus Has Fallen, because Emmerich has already proven his worth. So no one's really stopping me from watching this movie on its official release on June 28, 2013 -- just about time for the Independence Day, 4th of July celebration.